Here is our latest cute & crafty discovery... 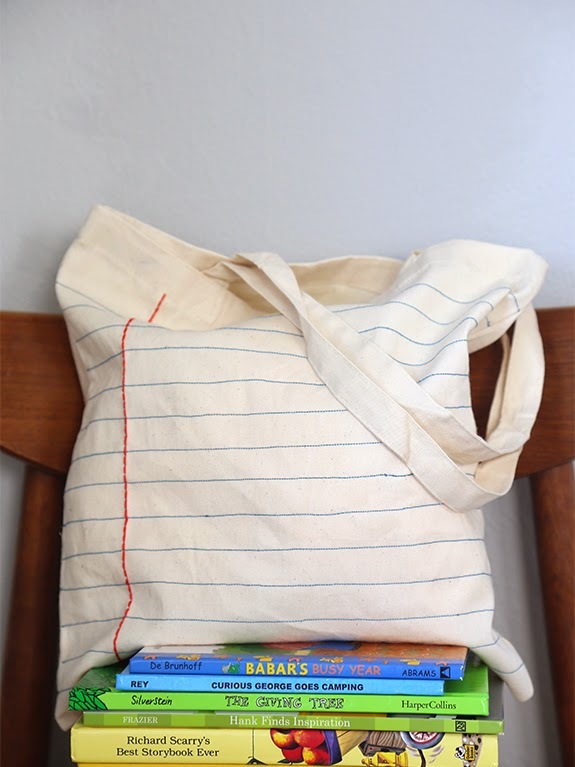 This sweet little notebook-inspired tote bag is ideal for a student or someone that’s simply young at heart! If you head on over to Say Yes you will find the full, step-by-step instructions to create your very own. Better still, she has a few more canvas tote DIYs that might also strike your fancy. Cute, affordable, and functional...what could be better?